Trends on Tuesday: Are QR Codes Still Relevant? Opinions differ on their utility and I couldn’t find any objective data on how often they were scanned by users. Even their inventor has doubts about their shelf life. “To tell you the truth, it may last for 10 more years,” says QR code inventor Masahiro Hara. 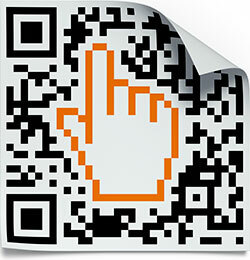 Like the original barcode, Hara believes QR codes will eventually be replaced by better image recognition software. Create a call to action. Tell smartphone carrying consumers to use their mobile devices to scan the QR codes in order to be able to obtain something they want. Provide a mobile friendly experience. If you make the experience easy to see and navigate on a smartphone, consumers will be more willing and able to stick around and interact with what they find. Offer social media sharing options. Give people who scan the QR code the chance to share what they discover and like. Place the code in a location that is easy to scan. If your code requires too much effort to read it is likely to drive consumers off before a scan can be completed. Use multimedia features. A video can provide a much friendlier experience than a lengthy written document. Check the function of the QR code. A stunning campaign will fail if the code doesn’t actually work due to some kind of error. With these tips in mind, and the desire to provide our consumers with information anytime, anywhere, we ultimately decided to use a QR code. I’ll be sure to write a post with any lessons learned once the materials are launched. For more insight into QR codes and how other agencies have utilized them, check out the “Leveraging the Government Experience through QR Codes” webinar on DigitalGov University.